According to the National Institute on Aging, research suggests that social isolation significantly impacts the health and well-being of older adults, while the opposite – social interaction – can result in positive effects. This strongly hints that Tuscaloosa Assisted Living provides an alternative to living alone without regular human contact. “More research is needed to understand the actual links to positive health and determine the importance of social interactions as they relate to disability, falls, memory, and overall health benefits for older adults,” stated the NIA, one of 27 institutes of NIH, part of the U.S. Department of Health & Human Services, focused on a broad scientific effort to understand the nature of aging and to extend the healthy, active years of life. Positive indicators of social well-being may be associated with lower levels of the interleukin-6 inflammatory factor in otherwise healthy people. These associate with age-related disorders such as Alzheimer’s, cardiovascular disease, arthritis, osteoporosis, and some cancers. The strong emotional bond between grandparents and their grandchildren often leads to healthier meals, smoking cessation, and a more active lifestyle on the go. We associate loneliness with emotional well-being, but it leaves a physical mark, as well, most notably in elevated systolic blood pressure levels. Loneliness and depression tend to adversely impact the health of middle-aged and older adults. Here at Regency Retirement Village, your Tuscaloosa assisting living center, we take the research very seriously and actively work to keep our residents socially active through a variety of initiatives. From meals to church services to crafts workshops to church services, so much of what we do keeps Tuscaloosa seniors as busy as their mobility and wishes dictate, yet they also enjoy all the benefits of independent retirement living with respect given to their privacy. Just as light physical exercise aims to help seniors remain fit and able to manage their balance, activities keep minds sharp. The research suggests that their bodies benefit from this as much as their mental clarity does. We find that although older adults may view a move to Assisted Living with initial trepidation, they quickly make new friends and grow to love being around people their own age, with whom they share many common values and cultural memories. The caregivers at Regency love to watch our residents light up with joy when guest entertainers perform for us, and it’s easy to see the positive impact that laughter and being social has on their physical health. Regency Retirement Village also provides relief for families of Tuscaloosa seniors who no longer worry about mom feeling lonely in a big old house that’s become an empty nest. They discover a peace of mind that she’s well cared for, safe and secure, no longer burdened with chores around the house to get done somehow. It lowers their blood pressure as well seeing an aging parent smiling and enjoying the company of friends rather than sitting alone in isolation, resenting that family does not come to check on her more often. Family members are always welcome at Regency as we invite them to dine with us or take part in some activities. If you have a parent at risk of feeling isolated and lonely, we urge you to consider moving them to one of the Tuscaloosa retirement communities where they can realize the emotional and physical health benefits of social connectedness. Performances by singer/pianist George Winter and singing by the all-male chorus group from Pickens County. 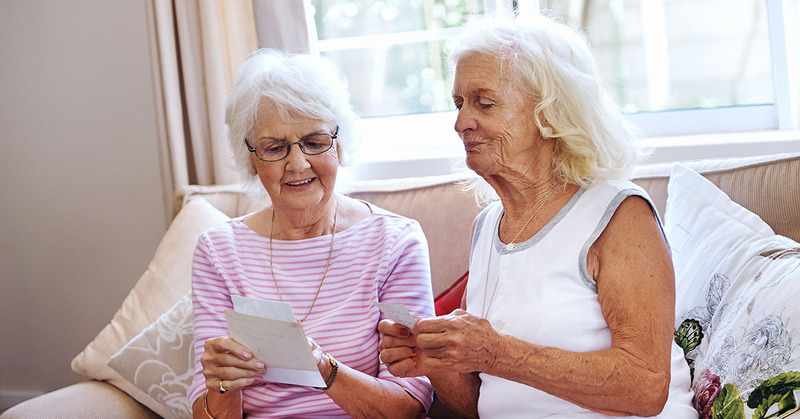 If you have a parent at risk of feeling isolated and lonely, we urge you to consider moving them to one of the Tuscaloosa retirement communities where their they can realize the emotional and physical health benefits of social connectedness. For more information on these events, see our June newsletter. To learn more about Regency, call us at (205) 752-5500.